I've found a few links recently to architectural videos online. 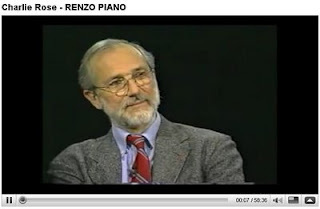 Click here for the most 'favorited' videos posted on AIA National's YouTube site including Charlie Rose's interview with Renzo Piano (pictured above). Here's a link to a Flickr group with interesting architecture and design videos to which you may add if you're a Flickr member (free). Flickr has a incredible wealth of photographs, images and illustrations. I encourage you to investigate the incredible collections available. 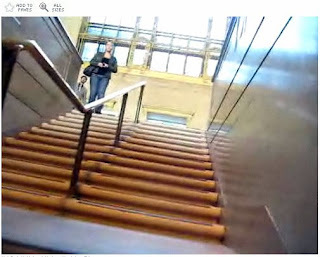 One Flickr group with self-generated content is "Walking through Buildings: Architecture in Motion". 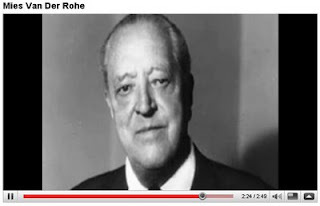 Here's a link to a goofy YouTube music video on Mies van der Rohe (based around an architectural student's nightmare). 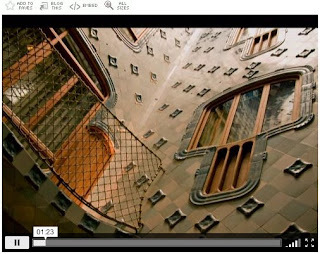 Where have you found interesting video content on architecture? Feel free to post links in the comments below.